The Creative Tools, developed in cooperation with artists, performers, communication and creative specialists, aimed at introducing a thinking-out-of-the-box approach, to deconstruct hate speech and negative representation of migrants and refugees in an alternative way. The training activity, according to the general framework shared among the partners, foresaw the production of creative tools, whereas its arrangements and structure allowed it. Otherwise they can be produced during the awareness raising campaign development. 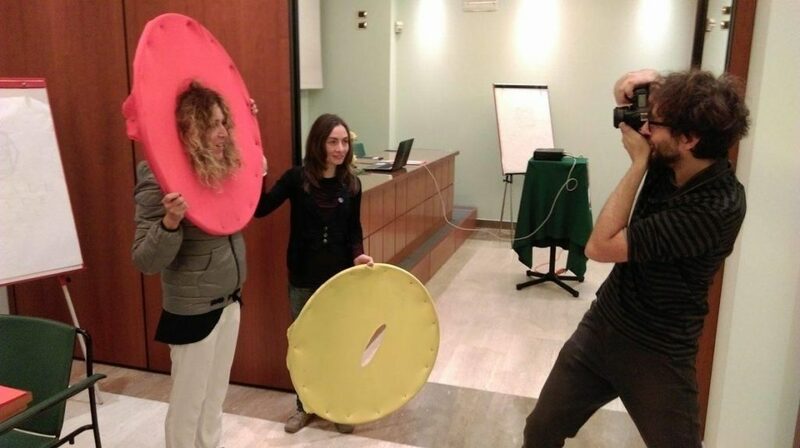 In Italy, FORMA.Azione as coordinating body of this work stream, after a discussion with the trainers, has decided to realise one of the three expected creative tools aside of the training, but directly involving the participants. The idea behind the production of “The Positive Messengers license”, was to realise an easy-to-use tool, extremely coherent with the practical exercises developed during the training and effectively manageable with a high number of participants, few hours available and a defined learning setting. So together with the The Pogovic, a group of photographers-artists, it has been established that to truly become Positive Messengers, participants should actively cooperate for the development of their own license, intended to be a concrete evidence of how differently represent people, playing with their self-portraits, in order to effectively deliver an alternative narrative. This approach could be of course transferred and replicated towards the direct project target groups of migrants and refugees. Aside of the portrait a blank part of the document has been reserved to write down each participant positive message or hotline, intended to be shared not only among participants, but above all in further awareness raising and dissemination activities. Therefore FORMA.Azione srl, responsible for the Training Event in Perugia, selected and involved The Pogovic, who define themselves as jugglers of the colour and acrobats of the image. They were involved in the training in order to redefine/reshape each participant portrait. This was then attached to a “driving license/ID” format, in order to create the POSITIVE MESSENGERS LICENSE. At the beginning of the training each participant (but also the trainers and the staff) was invited to take a photo. 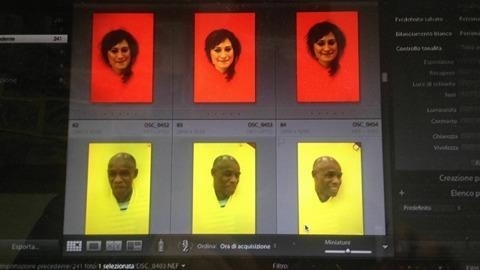 It was a funny moment because some of them were embarrassed to take a photo without any explanation, also asked to dress a kind of yellow or red collar (to better evidence and define the face image). Furthermore, the Pogovic – in order to make more particular modifications to the photo – asked the participants to “wear” a kind of portable “green screen”. Then, using Polaroid PoGo thermo paper, they treated the images with water, fire, acetone, sandpaper and various other materials to create unusual and entirely unique portraits. It is important to underline that their intervention on the images are based on both analogical and digital techniques. The idea behind is to manipulate participants’ portraits, according to a joking approach, through which inspire a diverse, unexpected alternative story of them. At the end of the training day, the Pogovic came back with the licenses of every participant. All the participants were very surprised to see their modified portratits: someone had blue skin, someone had green hair, someone had tattoo on his/her face! Each photo was different from the others! Every participant was different in comparison to the beginning of the day! “Difference” was the key of this experience. If you think about it, everyone is different from the other in the world. We are all different. And this is beautiful! Migrants, refugees, black, white, asian: it doesn’t matter because we are all humans. 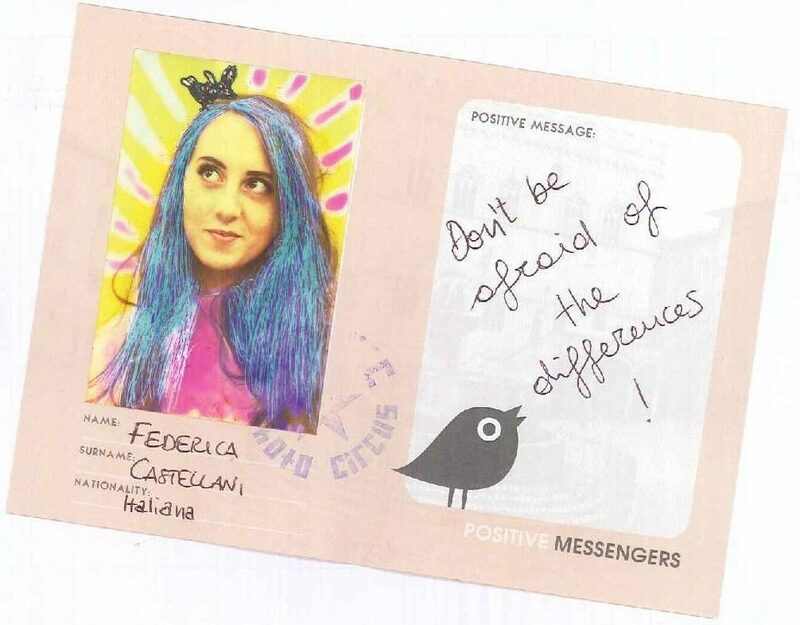 This was the message that our training wants to spread in a creative way: don’t be afraid of the differences.